AMD's refreshed Polaris 10 tweaks the silicon for better performance. Polaris 10 is good, but 10 months and some minor tweaks don't radically alter the formula. Spring is a busy time for graphics cards: already this year Nvidia launched the GTX 1080 Ti and Titan Xp, but those are both at the extreme high-end of the performance and pricing spectrum. AMD will have a response to those with its RX Vega in the near future (probably June), but first will be a refresh of its mainstream and budget offerings. Refinements to the 14nm FinFET process help AMD with clockspeeds on the various 500-series GPUs, but that's about the start and end of the performance story. Base clocks are quite a bit higher in most cases, while maximum turbo clocks are in single digit percentage increases. While the 580 and 570 are inherently more interesting from a performance standpoint, the 560 and 550 have more to offer budget users. The 560 enables two extra CUs relative to the 460, while the 550 is a completely new Polaris 12 GPU designed for ultra-low-power environments. Neither will be a performance powerhouse, but for HTPC use they could be just what you're looking for: low power, capable video processing features, and they should be able to run with low-speed fans (or in some cases, fanless). The Asus ROG Strix RX 580 T8G Gaming is one massive GPU. Let's talk a bit more about pricing. Compared to the launch MSRPs of the 400-series cards, most of the 500-series parts don't look all that different. The thing is, RX 480 and 470 took nearly six months to get down to AMD's MSRPs, and there were still a few quirks with some of the cards. AMD isn't dropping the MSRP much this round, but availability and retail pricing should be better. Of course there's no reason to upgrade from an RX 400 card to an RX 500, but that's true of most refreshes. The other improvement AMD spends a lot of time discussing in its marketing material is a power-saving feature called Radeon Chill. I have mixed feelings about the technology, as it basically just caps framerates in order to improve overall power use, and there's the potential for it to cause additional stuttering. I'll have to dig into the current implementation more and see how it goes, but even if you like Chill, at present it's only officially supported in about 20 games. Also, Chill doesn't work with DX12 or Vulkan, since it's a driver-side tuning feature and the low-level APIs bypass such things. Do you see the mixed messaging here? "DX12 is great! Chill is great! But you can't use them together." Ugh. For laptops, I can see Chill being a useful feature (Nvidia BatteryBoost does this sort of thing), but on a desktop I don't typically worry as much about power draw. If two cards cost the same and perform the same, and one uses 20 percent less power, that's meaningful information. If one card uses less power but is also slower, that's sort of expected. Chill by default isn't enabled, and for the initial tests I left it alone. I'm still in the process of retesting all of the current generation graphics cards with the latest drivers—an ongoing battle, considering both AMD and Nvidia keep pushing out driver updates, plus developers releasing game patches. Rather than trying to place the RX 580 and 570 within the entire GPU market, I'm going to focus on the direct competition from Nvidia this round, in the form of the already existing GTX 1060 6GB and 3GB models. You can refer to the GTX 1080 Ti review if you want to see results from other higher spec cards. The combination of new hardware, updated games and drivers, a dead router and Windows Creators Update has put me more than a bit behind schedule. I'm breaking the 500 series launch into two separate reviews, one for the RX 580 and the second for the RX 570. Here I'll be comparing the RX 580 vs. GTX 1060 6GB. There's also a catch with the 500 series hardware I'm testing: AMD shipped factory overclocked cards to represent the RX 500 series. I'm giving Nvidia the same benefit and am testing a factory overclocked Nvidia model. For the GTX 1060 6GB, I've got EVGA's SSC model, one of the highest overclocked 1060 cards available. The RX 580 is a similarly overclocked ROG Strix Top OC model from Asus, with a rather sizeable aftermarket cooling solution. The testbed is the same i7-5930K I've been using for two years now, only I've bumped the CPU clocks up to 4.5GHz for good measure. If you've ever wanted a good reason to splurge on a high-end CPU and motherboard, keep that in mind—this system still has plenty of legs, considering the age. So far, this rig has taken me through the GTX 900 series, AMD R9 300/Fury, GTX 10-series, and now RX 500/Vega. There are a few instances where a higher clocked Kaby Lake CPU would score higher, mostly at 1080p resolution, but a few games are starting to include many-core optimizations (thanks to AMD's Ryzen 7 and Ryzen 5), so more cores at slightly lower clocks isn't a bad trade. Here are the performance charts, showing the full suite of eighteen games at four resolution/setting combinations. Most of the previous results are roughly on par with what I'm seeing, but individual games have changed by 10-15 percent in some cases. Swipe left/right for additional charts. How's that for a closely matched battle? I've tried to be pretty agnostic in my selection of games, and with 18 games it helps smooth out the statistics. Across the full test suite, while the RX 580 (in heavily overclocked form) does manage to eke out a slight lead over the GTX 1060 6GB (again, in heavily overclocked form), in practice we're looking at an absolute tie. The RX 580 wins on average by about one percent at 1080p medium, and two percent at 4K high/ultra, then ties at 1440p ultra, and loses by one percent at 1080p ultra. But that's just splitting hairs. Individually, of course there are some more substantial wins and losses. Battlefield 1, Deus Ex, Doom, and The Division all favor RX 580 by moderate amounts, while Dishonored 2, Ghost Recon, and GTAV lean toward GTX 1060. The remaining games are all within about five percent or less, regardless of card. Looking at the minimum fps (97 percentile average fps), mostly the story is the same, though the RX 580 has substantially better minimum fps in Shadow Warrior 2 while losing by moderate amounts in Civ6, Fallout 4, and Hitman (along with the other wins/loses from the average fps). Overall, however, it's still a dead heat, with the average minimum fps across the test suite differing by less than one percent at all four test settings. As you might expect, the generational improvements of the 580 over the 480 are slight at best, and mostly come from the higher clockspeed. The 580 (OC) ends up being 10-15 percent faster than the 480 (stock) on average. Also worth noting is that both these overclocked cards use 8-pin PEG connectors, which means there's no worry about drawing too much power from the PCIe x16 slot, but power use is slightly higher than stock models. 8-pin power connector to ensure there's no out of spec operation. The large metal backplate provides support and protects the components. Much like the R9 300 series, the RX 500 launch plays second fiddle to what we're all really waiting to see: RX Vega, AMD's next-gen GPU. That's still a month or two away, but Polaris at this point is a known quantity. 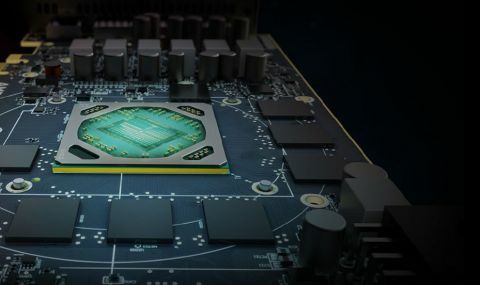 Performance is good, but slight tweaks to the manufacturing process aren't going to give the cards a clear lead over Nvidia's alternatives, and AMD's Polaris cards do use more power under load. But the power difference isn't huge, and AMD's cards tend to cost a bit less than Nvidia's, or at least they do when we're comparing modestly factory OC'ed models. If you're wondering which GPU is the best overall value right now, that will depend largely on street prices. At the $229 MSRP, RX 580 is a good buy, but that won't get you as much of a factory overclock. The ROG Strix 580 Top OC is at the far end of the spectrum, at present selling for closer to $300. That might be early adopter premiums, or just elite hardware premiums, but at that point the price is dangerously close to substantially faster GTX 1070 cards. GTX 1060 6GB hardware meanwhile has been around a while, and prices are far more stable. Cards like the EVGA SSC model used here go for just slightly more than the base $240 MSRP. There are many other smaller, more affordable RX 580 cards available. I will say this, however: the Asus ROG card runs exceptionally cool and quiet compared to the old RX 480 reference blower. It's also about twice the size. Neither the EVGA nor the Asus would be a good choice for a smaller case, and the Asus card will actually take up 2.5 slots of space, so plan accordingly. If you're still sitting on older graphics hardware, like an R9 380X or lower, the RX 580 is a good upgrade at a moderate price. Go further back and the gains can become even more substantial. I'm just not sure how many people remain who didn't want to buy RX 470/480 (or GTX 1060), because these are effectively in the same price and performance class. Owners of the RX 470/480 can also rest easy, as the small improvements in clockspeed are mostly attainable by overclocking if you really need the extra 5-10 percent performance. Swipe right for GBP, left for EUR. Swipe right for EUR, left for USD. Swipe right for USD, left for GBP. In terms of overall value, including some eBay prices for previous generation cards like the GTX 980 Ti/980/970 and R9 390/Fury X, obviously you can make the case for buying previous generation hardware at a big discount. The problem with that sort of reasoning is the same problem with relative value charts in the first place: it's all relative. If you want 60+ fps at 1080p ultra, many cards will usually get there, but a few games are pushing the envelope and you'll need to lower the settings. For example, the RX 580 is about 20 percent faster than a GTX 970 on average, but where the 970 fails to hit 60 fps in 11 of the 18 games tested, the RX 580 only comes up short in four games. In other words, the cards at the top of these charts are generally slower models, so keep that in mind. Looking forward, prices continue to trend downward, and what was once out of reach becomes acceptable. The RX 500 series continues that trend, and while it's not as exciting as a new GPU (ie, Vega), the 500 series now becomes the 2017 budget and mainstream standard bearer for AMD.